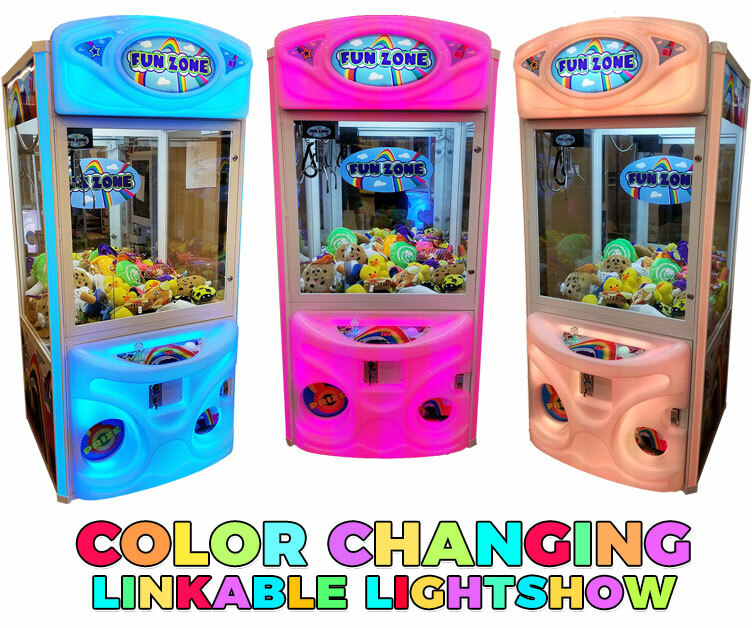 The attention of kids will be captured when they set eyes on the Fun Zone Crane Machine. The lights and sounds will draw them in and the chance to win a plush toy will keep them coming back to attempt time after time. This machine does well in any family friendly environment such as restaurants and movie theaters.